With the inevitable annual clichés pouring in, we thought we’d come up with a new year’s resolution for your social media pages. 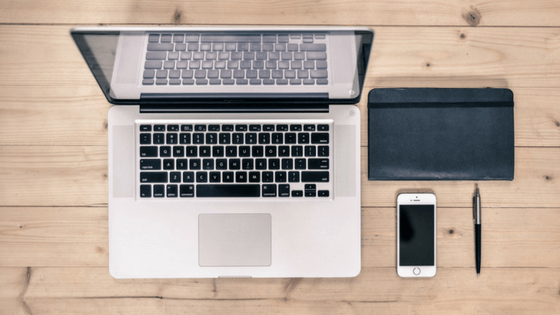 In short, we’re going to show you (with pictures and everything) how to tidy up your social media channels for the new year. After all, we know you’ve said, “new year, new me” at least four times already this week. On a serious note, having a cluttered twitter feed, or following hundreds more Instagram accounts that follow you back, can have a negative impact on your productivity, as well as limiting what you can get out of your social media channels. In this post, we’ll touch on Twitter, Instagram and Facebook, as these are probably the main platforms that you’re using. Twitter is arguably the most important platform to spend a lot of time decluttering, organising and generally keeping on top of. There’s a number of things that you can do to make sure your whole Twitterverse is more organised and well-kept. If you’re trying to build a following on Twitter, you may have followed other accounts left, right and centre. This can create a very busy feed. This means that your home page is filled with tweets and retweets from people that might not be that relevant. Just use lists! If you don’t know what they are, I’ll give you a quick rundown. Having said that, we do have a wonderful blog dedicated to lists, which you can find here. 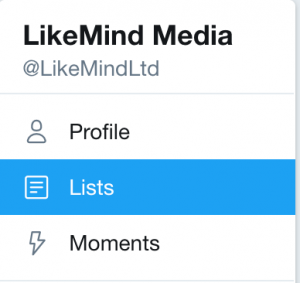 Lists are mini, customisable twitter feeds. You can create as many as you want and choose which users you would like to be in each one. For example, if you work with a lot of clients or partners, there’s a good chance you try to retweet and engage with their tweets. So, create a “clients” list! Like I’ve already mentioned, you may have followed lots of Twitter accounts when trying to build a following for yourself or your brand. They might not always be completely relevant. Having said this, you really don’t have to follow everyone. Some of them tweet 50 times a minute with retweets in between. If you’re following an influencer or two that are really clogging up your feed, go ahead and click the unfollow button. Bots. Everyone hates bots. You can spot them from a mile away; they automatically retweet certain hashtags and keywords. Go ahead and unfollow them too. Or, click on their profile and find the “mute” button so they don’t clog up in your feed too much. Hashtags are the most powerful thing on twitter and arguably all social media. It’s important that you take an organised approach to using hashtags; to maximise their potential. Once again, we’ve got a blog post on this, so check that out here. To keep things short, it would be useful to create a little spreadsheet with the hashtags that you find most useful, or that are most relevant to your industry. The more relevant they are, the more likely you are to be found. Oh, and don’t be that person that adds twelve hashtags to the end of every tweet. You’ll hear people say “don’t EVER use more than 2 hashtags in one tweet”. Of course, you can use however many you like – test a few, see what results you get. Just don’t spam. Nobody likes spam. 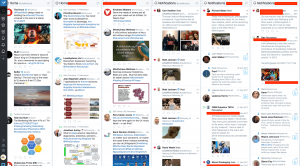 TweetDeck is a tool created by Twitter that basically helps you to organise everything, particularly if you operate on more than one account (like a business and personal account, for example). This is what the home screen looks like. You can have as many channels as you wish. We have ours set up with news feeds and notification feeds for the Twitter accounts that we manage. This allows us to see the notifications and feeds of each account in real-time without having to log in and out of each one on twitter.com. It’s free to use, so give it a try. So, that’s it for Twitter! If you follow those four points, hopefully, you’ll have a much more organised experience. Don’t worry, Instagram and Facebook won’t be as long-winded as Twitter, as there’s not quite as much you can do to organise your feed. Also, like I’ve mentioned, they do a lot more than Twitter to organise things for you. Much like Twitter, hashtags are über powerful on Instagram. 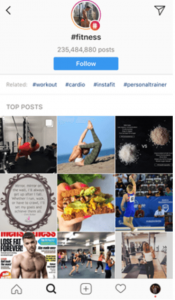 There’s a new feature that Instagram has added for hashtags, too. You can now follow specific hashtags. Just like following specific accounts, every time a post is created using that hashtag, it will show up in your feed. The best thing you can do is spend some time testing which ones work best for your brand. It’s handy to use a mixture of specific, general and location-based hashtags. Using multiple hashtags will definitely increase your reach and engagement. However, there are a lot of bots on Instagram, so how much of the subsequent engagement is genuine can sometimes be debatable. This can be a really good way of making your Instagram look organised to your followers (even if it possibly isn’t). Don’t know what one is? Read our blog post here. It’ll simply make your profile look ordered and pretty. Speaking of pretty, you should know that Instagram is all about having perfect images on your profile, which leads us to the next Insta-related point. The lower quality the image, the smaller the impact it will have. If you’ve been operating on Instagram for a while now, you’ve most likely got a lot better at producing high-quality photos. In which case, I’d go back and remove any really poor images. You don’t have to get rid of everything, because it can be quite nice for your customers to see the journey you’ve been on, just get rid of the ones that REALLY stand out for being low-quality. So, that’s it for Instagram. Time to move to the last section of this post. Facebook is the largest social media site and the most important for many people. 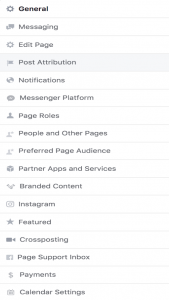 There are a number of things that you can do to ensure that your Facebook page is organised and decluttered. I’ve actually seen quite a lot of businesses that keep the same cover photo for such a long time, they feature old team members or promote old content. In 2018, why not upload a fresh cover photo so that your customers know who they’re working with? You could try a cover video, or slideshow if you’re feeling adventurous. While you’re at it, you might as well delete any old profile photos that feature old company logos, or pixelated ones. If you’ve changed your logo, there’s no point leaving an old one on your profile that could confuse a customer. Facebook keeps your news feed relatively de-cluttered using its advanced algorithms, but you should perhaps unlike/unfollow any accounts you might come across that aren’t at all relevant. This can include pages that you may have liked for a competition, for example. There are a number of different settings which you must ensure are configured correctly on your business page. For example, you should double-check that your page is the correct type of business. If you’re a service-based business, you’re less likely to be discovered by potential customers if you’re listed as a “shopping & retail” business. There’s a huge list of different settings to check. We’d recommend going through each one and ensuring it’s set correctly for you. The picture below is a list of all the categories of different settings. So that’s it! Time to open your social media web pages or apps and begin sprucing. If you follow the steps above, you’ll enjoy a more organised, clutter-free 2018 on social media.